FieldLynx Lite is used exclusively with LaserLynx. Scoreboard Plugin: For displaying real-time athlete and event data on a connected scoreboard. 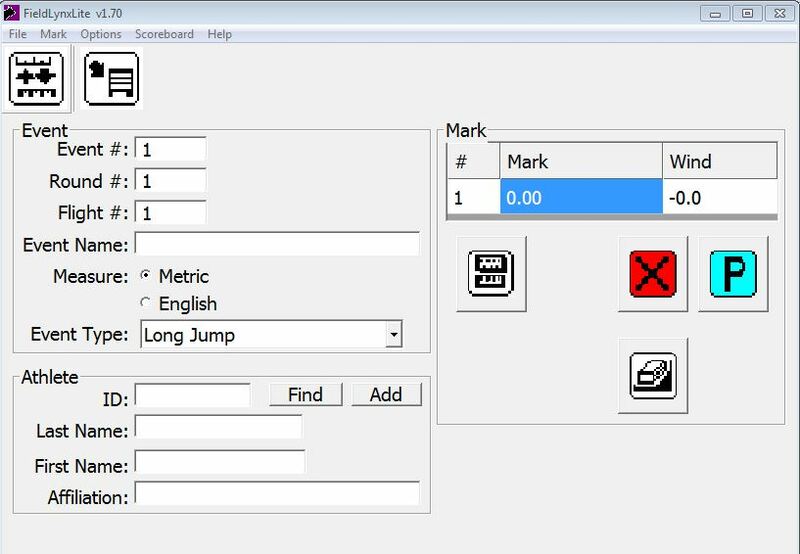 FieldLynx LITE is a perfect choice for track and field officials who want to administer field events without having to communicate with a meet management database across a network. FieldLynx LITE allows you to display athlete marks, integrate with EDM laser distance measurement equipment, and import wind gauge readings in real time right from a netbook computer. Load athlete and event details right from a local lynx.ppl file created in excel, notepad, or your meet manager program. Simply pull-up each athlete’s data one-by-one as the events progress and display their marks in real-time. Data entry is simple and intuitive and the software easily converts marks between Metric and Imperial measurements. All marks are then discarded when the next athlete is called. By broadcasting athlete and event data live to the scoreboard, you can keep fans informed about athlete performances throughout the meet.